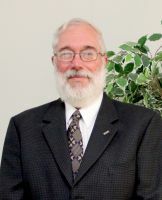 Weirton Campus Dean Mike Koon has been cited as West Virginia Northern Community College’s outstanding contributor to community college education for 2012. Koon, who also continues in his role as vice president of workforce development at Northern, received the award during the joint annual conference of the West Virginia Community College Association and the West Virginia Association for Developmental Education held Oct. 25-27 at Canaan Valley Resort and Conference Center in Davis. Koon has been instrumental in formulating the pipefitter helper training program, the deckhand training classes and courses in welding. He also nurtured the college’s new Mechatronics program, already begun at Weirton and being readied for the Wheeling campus early next year. Mechatronics prepares students to be electrical and mechanical maintenance technicians. Koon’s vision for that course and assistance in the Steelworker for the Future program in partnership with Arcelor Mittal Steel Corp. in Weirton and with a new LPN to RN transition program for locally laid off LPNs has been received with much enthusiasm on the Weirton campus. For the past decade, Koon’s workforce development work has included partnerships with such thriving companies as Williams Lea, the global leader in corporate information solutions, located in downtown Wheeling; Orrick, Herrington and Sutcliffe, international law firm, located in center Wheeling; Cabela’s, leading outdoor outfitters, located at Ohio County’s growing retail center, The Highlands; CertainTeed, Marshall County wallboard manufacturing company; and table gaming classes for Wheeling Island Racetrack & Gaming Center and Mountaineer Race Track & Gaming Resort, Chester, W.Va.
Koon started at the Weirton campus in 1975 as an instructor of biology and was the Weirton campus dean from 1985-92. From 1992-94, he served as chairman, Science/Math/Technology Division, and in 1994 he was named vice president of economic and workforce development. He has served as interim president and interim vice president of academic affairs. He is a member of the Weirton United Way Allocations Committee, the West Virginia Air Quality Board, peer reviewer for the national Higher Learning Commission and previously served on the West Virginia Joint Commission for Vocational-Technical Education and the WVNCC Board of Governors.